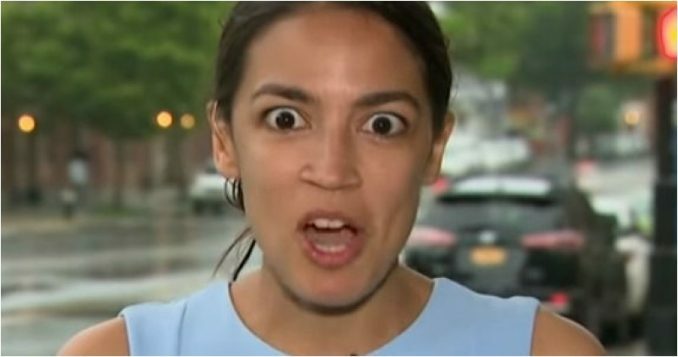 Alexandria Ocasio-Cortez is reeling after she was busted for “illegal dealings” that the former bartender tried to cover up. The charges are serious, and the junior New York Representative may see prison time. Her leftist cohorts are running as fast as they can away from Ocasio-Cortez. You’ll love this. The shining light of the new Democratic Party, Alexandria Ocasio-Cortez, is in a lot of hot water. Last week we reported on the AOC scandal surrounding her boyfriend, Riley Roberts. Conservative reporter Luke Thompson had discovered AOC’s live-in boyfriend had an official “house.gov” email address, and the funny thing was Mr. Roberts wasn’t listed as a paid staffer. After doing further digging, Thompson uncovered the mother of all scandals for any new politician: campaign finance violations. In fact, it is now alleged AOC used her campaign funds to pay her boyfriend, who was not on her staff at the time. “A Republican group filed a complaint with the Federal Election Commission on Wednesday alleging that Rep. Alexandria Ocasio-Cortez’s campaign may have illegally funneled thousands of dollars through an allied PAC to boyfriend Riley Roberts,” Fox News reports. “Members of the Washington, D.C.-based Coolidge Reagan Foundation allege in their complaint that when the Brand New Congress PAC (BNC) — a political arm of Brand New Congress LLC, a company that was hired by Ocasio-Cortez, D-N.Y., to run and support her campaign — paid Roberts for marketing services, it potentially ran afoul of campaign finance law,” Fox News adds. The 29-year-old former bartender went nuts last week after she was caught red-handed by Luke Thompson, and she threw down a caveat to investigate her. “The conspiracy machine is in full effect & it’s been disappointing to watch professionals get duped + amplify unvetted Medium posts as truth, treating journalism like it’s a high school LiveJournal rumor mill or something. No, I don’t shadily pay my boyfriend. Come on & VET,” tweeted AOC. FEC violations can lead to prison time. Like most criminal charges, they are judged by if the violation was just an accounting mistake, or if the politician was actually involved with an intent to commit fraud for financial gain. AOC should also be under investigation by the House Ethics Committee, it sure looks like the Congresswoman is knee-deep in campaign fraud and also potentially disclosing classified information. Ocasio-Cortez said the official “house.gov” account was given to her boyfriend so he could have access to her calendar, dismissing another claim by Thompson that he was on staff as “nonsense.” Only spouses of House members can have access to the official email accounts due to the possibility of classified information getting into the wrong hands. Fox News has reached out to Ocasio-Cortez’s office for comment on the latest FEC complaint, but they failed to respond. Yeah, it sure looks like the Democratic darling has lost her tongue all of a sudden. Even her cohorts have scampered, leaving her all alone to face the music. Hopefully, this is the beginning of the end of the big mouth leftist who should never have been elected in the first place.